Gobbledygeek episode 153, “Heavy Book Petting (feat. Mere Smith & Eric Sipple),” is available for listening or download right here, and on iTunes here. Esteemed writer of words Mere Smith and goddess of pain Eric Sipple have returned to Gobbledygeek! 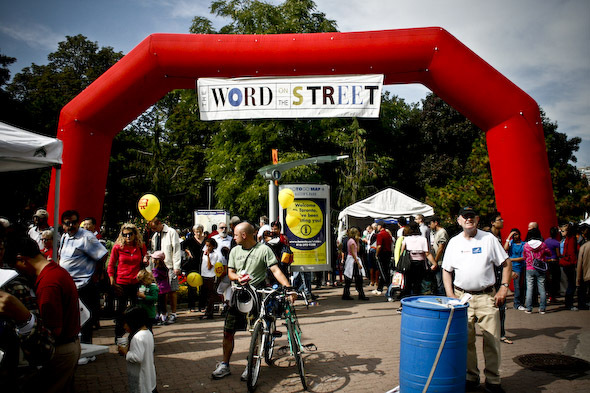 They discuss pitching their wares at the forthcoming Word on the Street Festival in Toronto, the crazy logistics that go into planning an event of that magnitude, the books they’ll be hawking there, and the level of collaboration made possible by the Internet. Plus, Paul and AJ have a sane and measured response to the casting of Ben Affleck as Batman, and AJ lavishes praise upon The World’s End. Next: Anna Williams joins us for music-ing. This entry was posted in Shameless Self-Promotion and tagged books, comedy, eric sipple, film, gobbledygeek, libsyn, literature, mere smith, movies, podcast, sci-fi, science fiction, the world's end, word on the street festival. Bookmark the permalink.